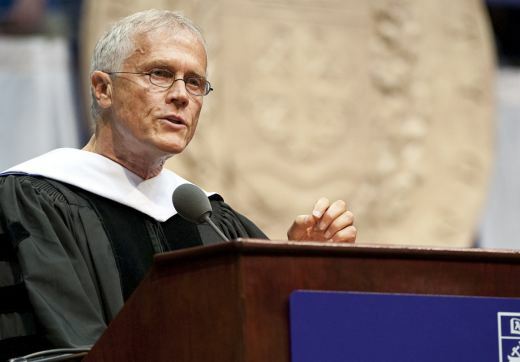 Absolutely beautiful, poetic, inspiring, Paul Hawken preaches and reaches into my soul. I've seen him on YouTube, so I can imagine his voice saying these words, yet I wish I could have heard him deliver this speech. You nailed it, Paul. "Direct, naked, taut, honest, passionate..." I want to toss my mortarboard up into the sky again. You have inspired me. In the darkest times, there are people who have come together to kindle light and hope. As Paul points out, change isn't an underground movement any more. This is our time to shine. My community of coaches are deeply moved by this powerful and inspiring address. Whether you're a member of the Class of 2009 or simply 'graduate' daily from the school of life, this is a powerful call not just to action but to a new way of being. Thank you Paul! Thanks for posting this, Nipun! Wow. Beautiful and compelling. Every student graduating from every school in the world should read this speech. Excellent speech - on video, and in print. Well said Paul. An eloquent reminder of the capabilities within ourselves and collectively. We can and will transform our world into a thriving planet again. Everyone must take serious action NOW! Brilliant! We are all part of one interconnected organism, with one spirit living through us all. To know this Oneness within is the greatest comfort a person can find. To live this oneness between people is the greatest blessing one can give to others. Thank you Paul Hawken for stating this with such insight and humor! Thank you for going beyond the words of the invitation and sounding your call to beauty, action and love. Hi, is this speech on video?? Absolutely brilliant!! 'As within so with-out' - let's start healing our hearts and in doing so heal our planet and let the natural energetic pulse of the universe return. Well said Paul!! What a beautiful, stirring reminder...to each one of us, to get up off the couch, turn off the tv and BE a part of this life! We each can do something...ANYTHING be it little or big to help our wonderful planet. Our worth and actions cannot be judged on how much we make $, rather on what type of footprint we leave as we walk, and perhaps whether we held a hand along the way. This absolutely moved me to tears. What an amazing speech. Brilliant, beautiful , and so powerful speech that touch deep in my soul. Thank you, Nipun for delivering this to all of us to feel such an inspiring message. Wow, what an amazing speech! I graduated from U of P and I wish I had heard this speech then! It is inspiring and most of all CORRECT and I hope that all those graduates related to all or at least a part of what was said and acts on it. I have started to get involved in environmental advocacy and have quit my job to make a transition to a green job, I hope we can all make that change in our lives...that way there would be no place for opposition. Way to go Paul Hawkin and thank you! Seeing humanity in it's grandest vision never seen or taught as a young man. As an adult I'm tickled pink at what may be if we change our view about the world and are integrated into the possibility. This is one of the most powerful and simply ways of putting. I'm awe inspired. Paul has been an optimist and an opportunist always. And how eloquently has he made his point clear to the next generation. Its all upto us. We are the creators and destroyers of the future. I'm sure we all can take a lesson from Paul's wisdom shared and make a difference. Our being itself has a purpose, and it is to create a better future for us and our children. Thank you ALL. Besides the brilliant and inspiring words of Paul Hawken is the HOPE I feel after reading these published comments; that there are millions and millions more who have heard or seen his address and are inspired, sympathetic, rejuvinated, There is something to be done by all of us, however large or small the action........be a part of saving the future. Thank you Paul speaking the words of wisdom. Totally agree. We have to remember that we have the best youth and children of the Human history right here and now to solve the mess of the darkest time of the humanity. There is so much light in everyone of you. Musch more than in our little star called sun. Thank you Paul again - you see the Truth. Just brilliant! A friend sent this to me and asked I read the entire speech and I did. I am thrilled that I did. I am newly inspired! I never heard of Paul Hawken's but I would go listen to him again and read more of his writings. The speech was great and absolutely on point with how our world is functioning today! Thank you so much for posting his speech. Many more should read it. I would go as far as saying all graduating classes should get a copy to read. A message of hope..... just what we all need to inspire us to act. Thanks, Paul for your words. great speech, paul. thanks for your great work over the years. no nukes, & we'll meet again in Solartopia!!! Hello Paul, Like my friend and colleague Terry Lipman, who worked with you in Australia, I was privileged to work with you both at John Denver's Windstar Symposia and introduce you at the Sustainable Resources Conference at the University of Colorado. Your call for caring, kindness, compassion and action is being heard, finally! Now, as Michael Pollan (author, In Defense of Food and other wonderful books) said just last night in Boulder, CO - the movement must show up with integrity, courage and overwhelming numbers... NOW is our time! Our President needs us to keep making a joyful noise, louder and louder! You can reach me through our work at The Way of Nature - http:www.sacredpassage.com OR call and give me an assignment! 303-449-8100 - the Earth Hired me a while ago! A profound set of ideas that should have many ruminate on the eternal truth that the Vedic sages expounded - all creation is interconnected and an integral part of the infinite omnipresence. This is why they enjoined us to live our lives doing the least harm possible to all forms of creation, and to our environment. You have captured the truth, distilled it and delivered it. Reading this was like listening to beautiful music or standing by a waterfall or creating a splendid morsel of poetry. Thanks. It is what it is. THANKYOU!!!!! It's finally time and now the truth is being told. I can shut up and forward this to everyone I know. Thank you for your brilliance!!!! Such enthusiastic comments... and yet most of you will do nothing but chase money and society's idea of "success" all your lives. Maybe all of you are fooled, but I'm not. Buying a Prius and shopping "green" won't cut it. Are you willing to find out what *will* cut ut? I doubt it... but I guess you never know. Maybe a few of you will grow a conscience. So many people feeling stuck, so many people lost, without a purpose - but if you do stand up, don't forget a deep sense of compassion and joy, otherwise you'll be just adding to the misery. Brilliant!I Inspiring! Passionte! I wish I were graduating today. Nicely added, Susan. Let's not buy into the fear; positivity is the only wway out of this. Let's come out smiling with the difficulties of conversion. Brilliant! This was a thousand times less cynical than the graduation speech Sheffield University offered to us. Let's consider this the point of change. Instantly refocus and revaluing of everything in our lives. It is reminders like this that create change. Each reminder is so important since each hears it when ready. We import, dowload and create when invited and impelled to move forward. Thank you. Thanks Paul. As always, an inspiration. Pachamama's wisdom knows itself and faces another day! So eloquent, so conscious. And wonderful, positive comments. Susan, you said you wish you were graduating today. But you are! Every day! Ghandi: "Be the change you want to see in the world." It is gratifying to hear my prayers verbalized in others' words.... the change is happening. Blessed Be! this is for the world to read - thank you! Wow, what a way to start the day, this will be my morning prayer. Such inspiration..................it should be broadcast on TV around the world, without notice, on every station about 8pm as a PSA, I wonder how many TV's would be turned off and discussions would follow? This is what is needed. Anybody have the video link??? What a high purpose--entering the truth of life and speaking and from it! As beings, we are experienced universe creators. We need to stay connected to a policy that gives life and makes future survival. A culture, when healthy, is a living organism. Paul, you are asking us to put to use our experience of creating life from the first half of eternity.. And it is happening. Great work, thank you. Paul, you are an intergalactic being who has been around the block more than twice. I think you are really nice to re-mind us to Unite, tonight, while the stars shine bright!!! Bless this man and the planet we live on. I, too, want to make a difference at my age of a young sixty. Love life, love being, and love this planet. Absolutely Brilliant! Paul Hawken's eloquent words go directly to my senses, confirming my intuition and stirring my creative, eternally optimistic soul. I am an angel sent down from earth with a very spcial mission. My mission is for you all to listen and make the tears go away. I am a star that is not so far for you to see forever. I ain't pissen' for this is my mission. So pull up a chair do not dispair it's never to late to fill your plate with just joy and glee and this my dears is just the beginning for all to share, do you dare? THE MOUTH THAT ROARED. AUTISM is the issness of all is well. Go ahead what the hell pull up a chair and simply listen. I am an angel at your table, dress it nice and we will all have a slice of her mssion "FIX IT". Well that's my story in all it's glory don't be late or you may wait for a very full plate of gold. Go ahead be bold always remember you will be told by an angel this is fro [...] See full comment. I am an angel sent down from earth with a very spcial mission. My mission is for you all to listen and make the tears go away. I am a star that is not so far for you to see forever. I ain't pissen' for this is my mission. So pull up a chair do not dispair it's never to late to fill your plate with just joy and glee and this my dears is just the beginning for all to share, do you dare? THE MOUTH THAT ROARED. AUTISM is the issness of all is well. Go ahead what the hell pull up a chair and simply listen. I am an angel at your table, dress it nice and we will all have a slice of her mssion "FIX IT". Well that's my story in all it's glory don't be late or you may wait for a very full plate of gold. Go ahead be bold always remember you will be told by an angel this is from a heaven, that I am not told. So listen up all you litle pups for I am gettin' old. "BLONDIE" the mother of a son perfect in every way.it is my mission pelase always do listen and pray. For I shall stay out of ones way if only you will listen I am not just a pissen 'so do listen well. In another life it may be right but sense we are here please do stay near to this angel, pull up a chair and have a plate of gold not mold. Ok, now that I have nearly rhymed all the time it your turn to talk. Stop your baulking and begin a talking for I am listening. Hang on tight with all your might and know for sure that we are pure at heart not like a fart not a smell from hell rahter like a flower with much power. Please drop your mop and float your boat on a clear smooth day. I promise you this I will listen if only you will stay. Now pray for yourself take it off your shelf and be one with all stand very tall . Shout with yur mouth I am a MOTHER THAT ROARED.... AND THAT MY SON IS WHERE YOU CAME FROM. ALL IS WELL THE NAME OF MY SHOPPE IS " A PLACE TO TALK", NO ADMISSION, A DONATION. IF YOU CAN NOT , DO TRUST IT IS NOT A MUST HAVE A SEAT FOR I AM AN ANGEL TO JUST SIT AND LISTEN. HAVE A CUP OF JAVE AND A BISQUIT OR TWO WE TOGETHER WILL GET TO FIXIN'. THAT IS A PROMISE I AM NOT A LIAR AND CAN GO MUCH HIGHER AND HERE I BE FOR YOU. PLEASE PULL UP A CHAIR IT IS WAITING SO GET ON A GETTIN" ALL IS WELL. LOVING ALL OF YOU I AM NOT RARE I JUST DARE YOU TO STARE AND YOU WILL SEE I AM AN ANGEL FROM HEAVEN WITH A VERY SPECIAL MISSION. THANK YOU. Hide full comment. A wonderful address. How lucky these students were to get that parting gift of Paul Hawken's thoughts. We must remember what Albert Einstein said. Great speech! Well put! and even a quote from David James Duncan. I thought I was the only one who read him. I really love this speech because he's right, it's never to late (but we must start now). All of us can redirect, reuse, replenish...all the good "re-" words, I like that. Oh and- OMG Bono breathed my air!! One of the best speeches of all time! If only our president, congress, and business leaders would listen to this and act accordingly. Thank you for the inspiration and the reminder!!!! Let's start now then! What an inspirational speech to today's generation and a GREAT BIG reminder to us all. In our hearts we know it's time for a change and today, right now, is a perfect time to start living consciously.....thank you for sharing the thoughts that many of us share. With Love and gratitude. I began working for the Earth in 1973, and have done so -- in different ways -- for the last 36 years. Some ups, lots of downs. Mostly I think because environmenalists have taken a pessimistic and antagonistic approach to change. I agree with Paul that that a realistic optimism is key. And a vision-driven, reality-grounded approach to creating what matters seems to work far better than so called "problem solving." The age of problem solving has created more and worse problems than it's solved. We need to usher in a new age of "creating" -- focused on mastering the act of creating what we love, and want to see in our lives, work and world. Wow, what else is there to say? Wow. You know, i sometimes wonder if i am doing something wrong, when i am just sitting there. Now i know, i always have been. Every breath i take, is not respected, NEVER respected enough. i thought i was made to be here, just appeared, when really, i was reborn out of the sun. HE who made us, does mot make us, he creates us. So, why not follow his rules? You said it, not me Mr. Paul, why not be on Nature's side, when it was she who created us? Thank you Mr. Paul, for clearing a cloud of confusion over what was wrong. I may be antiquated, I have never "blogged" before...but I am moved by your speech! I indeed witness God speaking through you, as you. (as through all of us, maybe just not so elloquently!) Thank you. NAMASTE! A big thank you from Europe for this inspiring and very touching speech! We are all stardust manifested as human. Let's reconnect and remember and restore. i don't see the link for the video of this speech and would LOVE to view it and share the video with others. can you tell me where/how to find? Poignant, eloquent and without self promotion (ego), a man of grace, thank you Paul Hawken for your contribution to this precious Earth and humanity. Paul and Brian Swimme are my heroes. This is the "awaken and act" message that everyone, not just the class of 2009, need to hear. Humanity is ascending and it is picking up speed. Thanks for brilliant voices such as Paul Hawken. Very inspiring Paul. You really know how to connect with the students of 2009. This is what we need to hear. Young kids need to start thinking about how they are going to help our global issues and this is a great speach to inspire them to get ready, and think about how they are going to change the world. Thank you!! Thank you for sharing Paul's Commencement Address and to everyone for the wonderful comments. an online community space connecting the people, nonprofits and businesses working toward a just and sustainable world. The site includes free Group spaces for collaboration with wiki, discussion board, and mapping tools. A message of truth and connection, an inspiration to all to think bigger, live bigger. Doubly incredible in that I was at last year's University of Portland commencement speech, given by Peggy Noonan. The polar opposite. Academic schizophrenia? A balancing of the destructive and the beautiful, fear and hope in the name of giving voice to both sides? This is truly incredible…his passion explodes out of every word! What a nice and vivid description of todays world with lot many ideas for amelioration.Thank you Sir Paul. making us feel the realities which we are willingly ignoring and avoiding to face. Hope to get many more such provocations in future. However, it is so ingenuous and important that I believe we need to prepare to defend it from both sentimentalists and cynics by developing our critical faculties in wise and insightful ways. I appreciate the comment from Jim Scott about 'developing critical faculties in wise and insightful ways'. I believe we have to begin with ourselves and realize the fantasy worlds that we live within -- waking up to the supercommercialism, the lack of inner peace one sees as we look at others and often when we look in mirrors, the whole containing milieu of human cultural attitudes and beliefs that render the human species unintelligent and un-enabled, and which Paul Hawken is calling us to comprehend in its entirety. Such beautiful inspiring words for such a dire subject - wonderful. I am builidng a nature retreat as my bit - had 64 bird species visit/stay so far. A call to action for not only the young at the beginning of this century but for all of us with a passion for our little blur planet home. I will be teaching an Adult Ed class in Portland, Maine in the fall of 2010 called "Walk Softly Upon This Earth." I would like to be able to show a video of the commencement speech to the class. Is there a way I could get a copy? Do not do unto others that which you would not want done unto you! We have turned the earth inside out, for profit, under the guise of advancement. While no one can deny our intellectual and technological advancements, they will have been for naught, unless we are determined to use them for good; to repair the damage we have caused. I love my life but, at what cost do I pursue my own dreams? Paul's words are motivating and insightful. Please, let them not fall upon deaf ears. Gently remind our neighbors that we are ALL brothers of the same universe and let us set-forth on a path of recompense. Let us show the next generation that we love them, let them arrive to a universe of love. When you draw that circle around yourself, ask who you will include; challenge yourself to make your circle bigger. It's perfect time to make a few plans for the future and it is time to be happy. I have learn this submit and if I could I desire to counsel you few interesting issues or tips. Perhaps you could write next articles referring to this article. I want to read even more issues approximately it!